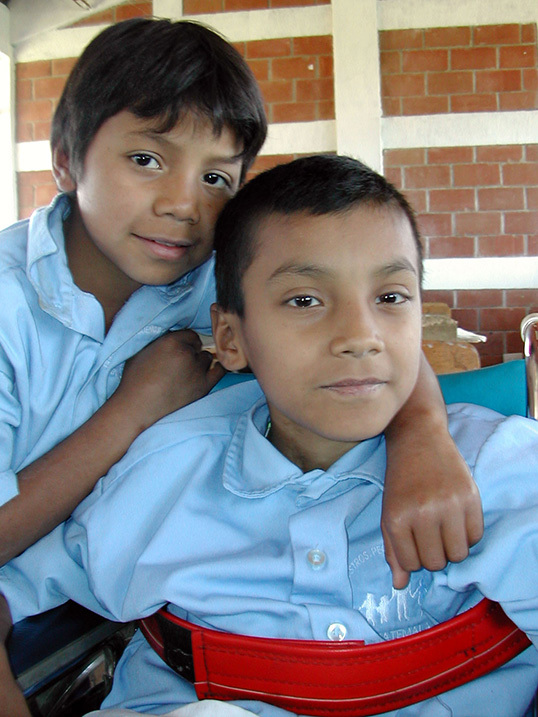 From NPH Guatemala: a story of hope, determination, and perseverance. 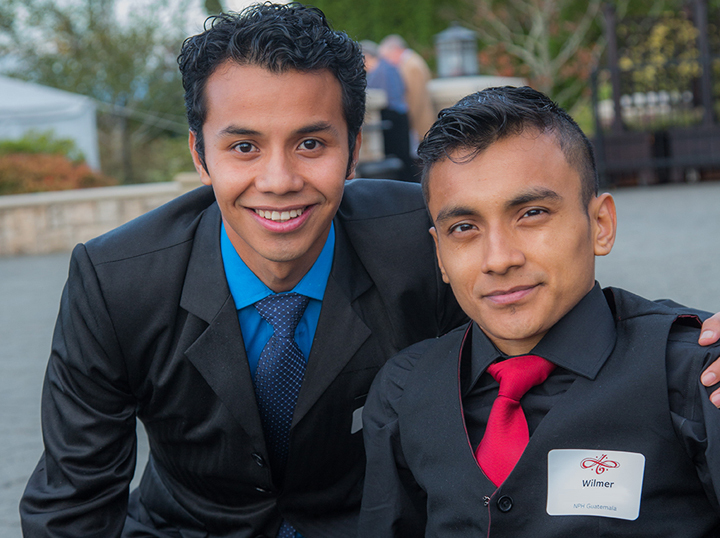 Wilmer is a 28-year-old member of our NPH Guatemala family. 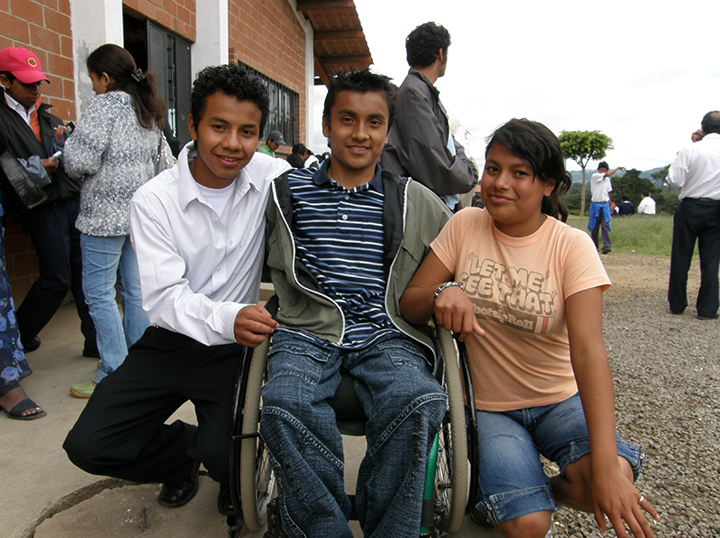 He came to us when he was nine years old, after being struck by a stray bullet that put him in a wheelchair, which he still uses today. For 18 years he has lived as a part of our family, receiving all of the care that we could possibly provide locally in our home. However, during past recent years, his health began to decline. Complications from ulcers lead to the deterioration of his spine, and doctors concluded that risks of infection could threaten his life. Throughout Wilmer’s entire life, he has never despaired, nor resented the situation that he was unfairly placed in, as many of us might do ourselves. He has always carried positivity and determination with him his whole life, and even at this juncture, he moved onward optimistically and faced this new challenge head on. His strength inspired us to do whatever we could for him, as any family would. We connected with Dr. Cavadas in Valencia, Spain, who is world-renowned for his surgical abilities. His assessment of Wilmer’s situation fell far from Wilmer’s trademark optimistic attitude. A complicated, intense procedure would have to be split into two separate surgeries to alleviate the stress on Wilmer’s body. And even then, it could still be life-threatening. Wilmer, fully understanding the risks, remained positive and determined, and insisted that we move forward. 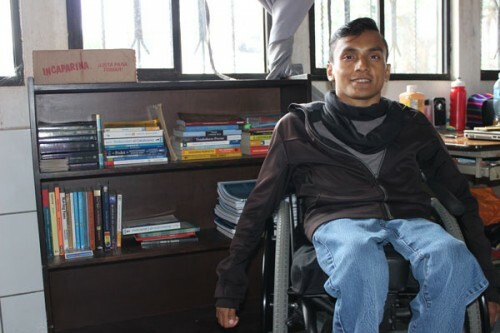 Today, we are happy to share that his spine has been replaced, the potentially life-threatening ulcers are gone, and Wilmer will soon be making his way back to Guatemala, where we will continue to support him in finishing his university studies. NPH would like to thank Iberia Mano A Mano, DKV Seguros, and Fundación MAPFRE for their participation in helping Wilmer through this time. Also, we would like to give special thanks to our NPH International Medical Services Team, especially Dr. Pilar Silverman (Director) and Marta Garate (RN and Regional Medical Coordinator), for their commitment, drive, and resolution in finding whatever solution possible for Wilmer. And another big thank you to Xavier Adsara, NPH Spain (Director) and his local team. Lastly, we want to recognize the hard work and sacrifice of Adela Mejía, a nurse from our home in NPH Guatemala, who sacrificed her time to spend five months caring for Wilmer in Spain, enduring the hardship of being away from her family for so long, even through the struggles of the recent volcano explosions in Guatemala, in an act of love and sacrifice to her greater NPH family. Of course, we thank ALL of those who have prayed with us for Wilmer’s health over the past several months and throughout his life. It is only with your support that we are able to give children like Wilmer the opportunity to lead the happy and health lives they deserve. Photo above: Wilmer in 2017; Photos below: Wilmer and his brother Jacinto in 2002, Wilmer, Jacinto and their sister Yessenia in 2008; Wilmer and Jacinto at the Northwest NPH USA Gala in 2015.